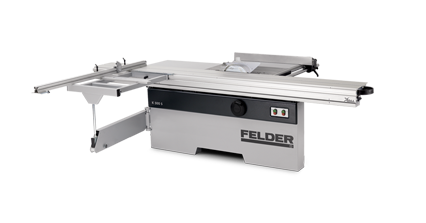 The FELDER K 500 is the economically priced panel saw for professional woodworking. 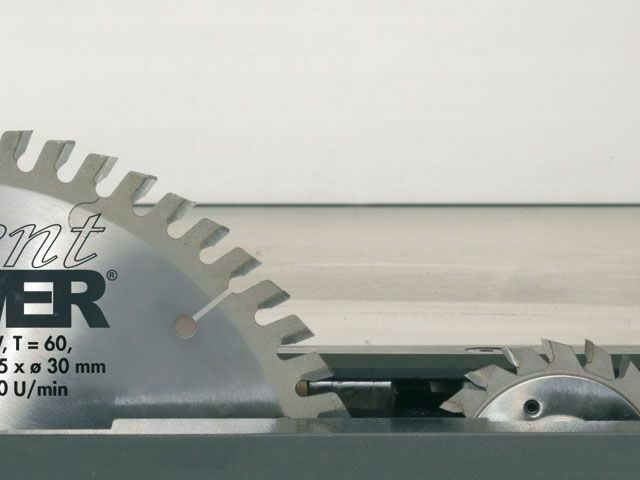 The tiltable saw aggregate, the precise professional saw fence and the patented “X-Roll” aluminum slider with 10 year factory guarantee reliability, stability and excellent results. 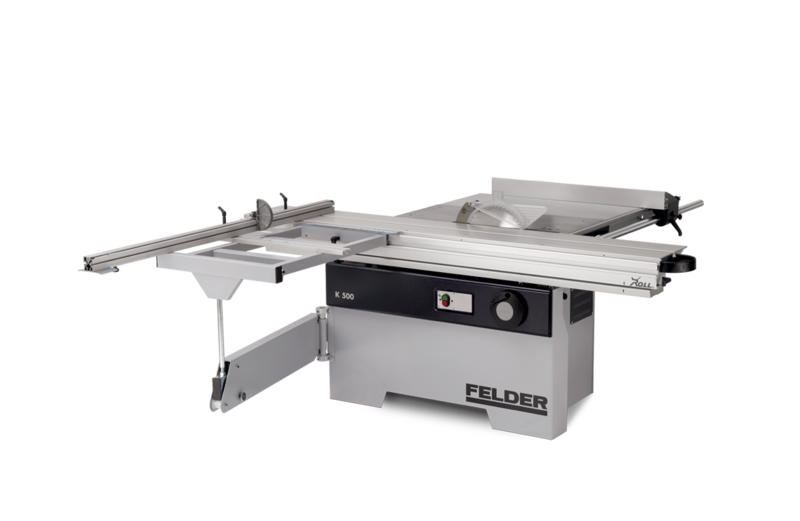 With the 80¾" (2,050 mm) slider and 43½" (1,100 mm) outrigger table included in the “professional package", the K 500 can be configured to meet the exact demands of the professional woodworker. 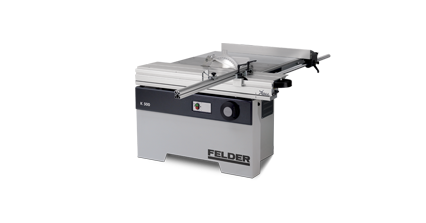 The Felder 500 Series saw assembly is fully compatible with dado tooling. 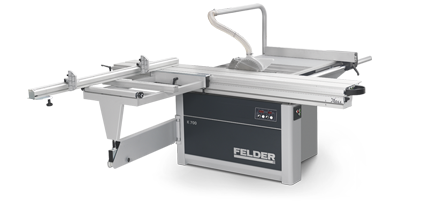 Thanks to a removable table insert and flanges, specialized Felder dado tooling can be used. 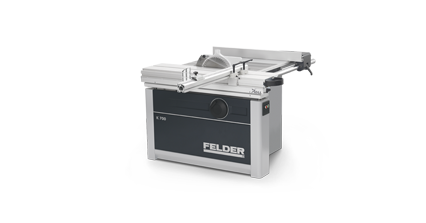 Scoring Saw Blades have 2 parts and can be adjusted to the thickness of the main saw blade with a shim set. 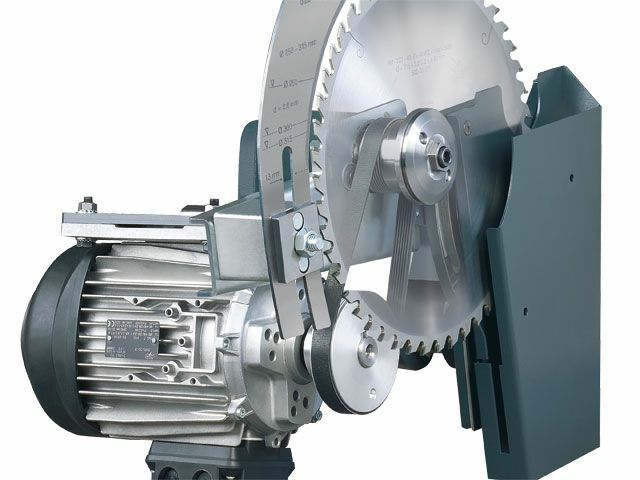 They feature square carbide teeth and posi-tive hook. 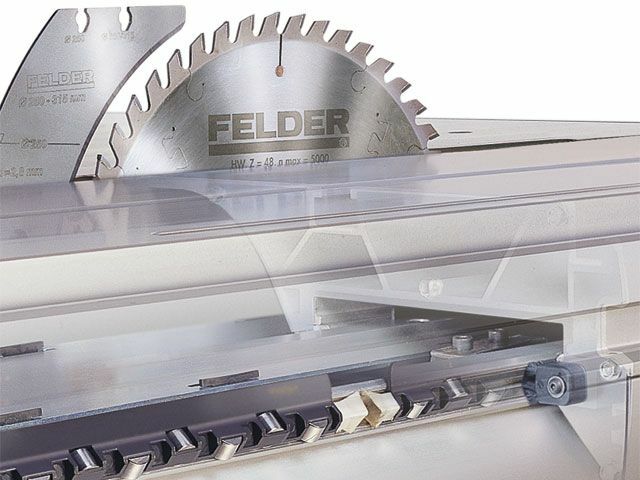 The scoring saw blades rotate in the opposite direction to the main saw blade. 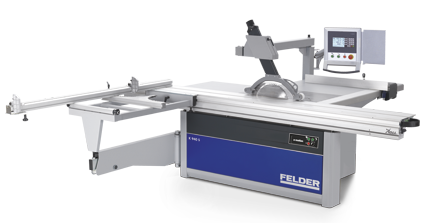 The continuously developed linear guiding system from Felder has been astounding woodworkers since 1990. 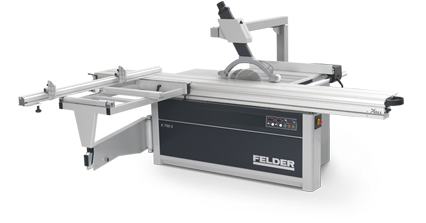 The high quality­ ­format sliding table guiding ­technology “X-Roll” comes with a 10 year Felder warranty and offers amazing operating smoothness and is completely maintenance free. 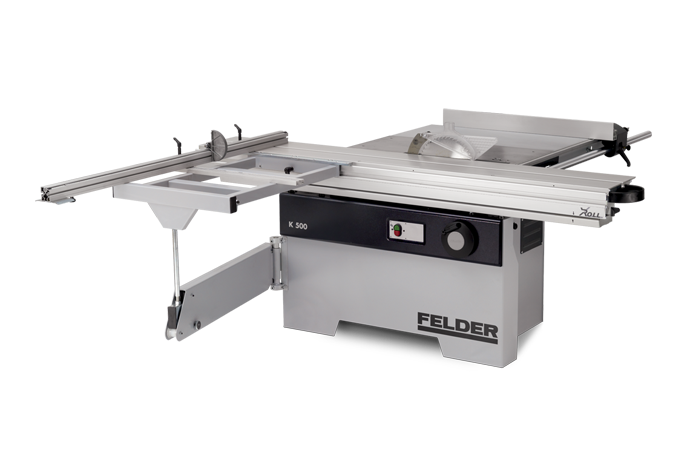 The “x” design of the position of the roller bearings ensures that they move smoothly along hardened guides. 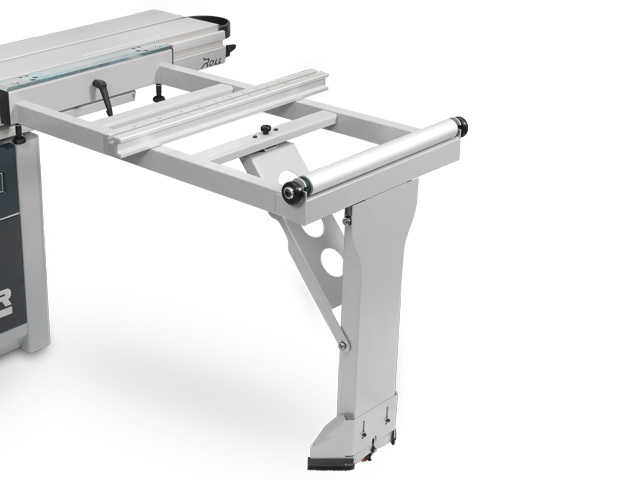 The outrigger table enables the user to process large, heavy work pieces. 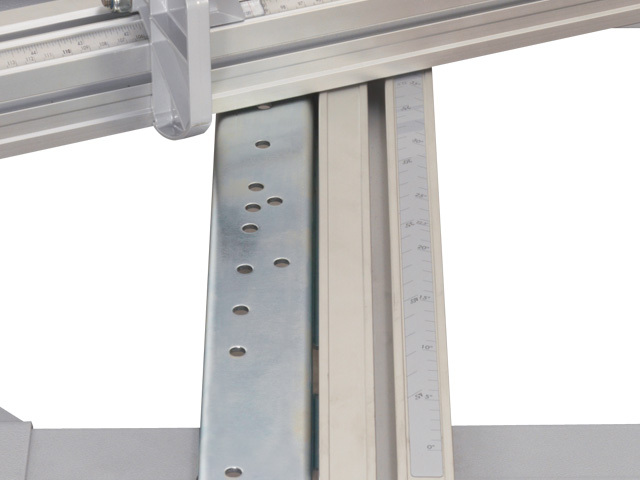 For the highest in precision and stability, four rollers guide the telescopic support arm. 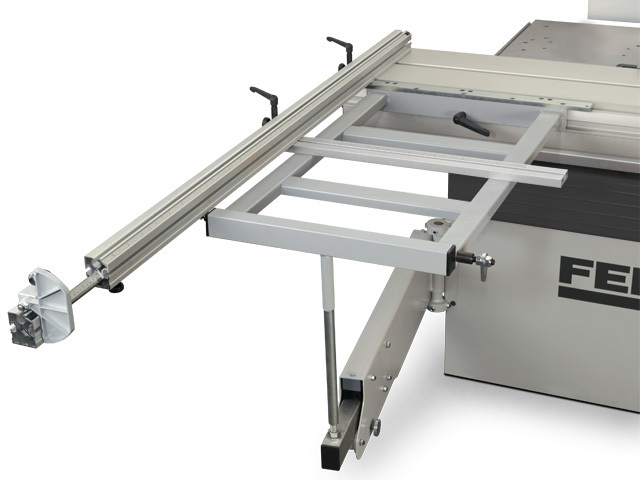 The telescopic crosscut fence with mounting system and ergonomically designed scale with magnifying lens on the crosscut stop guarantees precise settings and crosscuts up to 2600 mm. 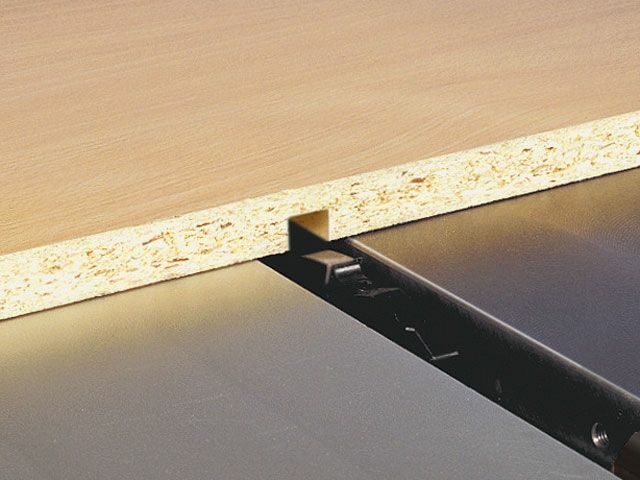 The crosscut fence can be positioned between 90°-45° and has one crosscut stop as standard. There is a fixed end stop position for 90°. 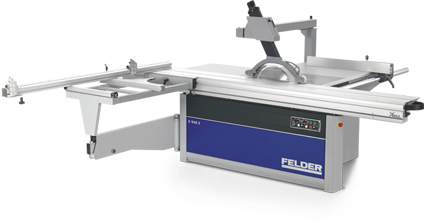 The beveled miter scale with hairline readout is visible from the operating area and thus allows exact reading of the required crosscut value. 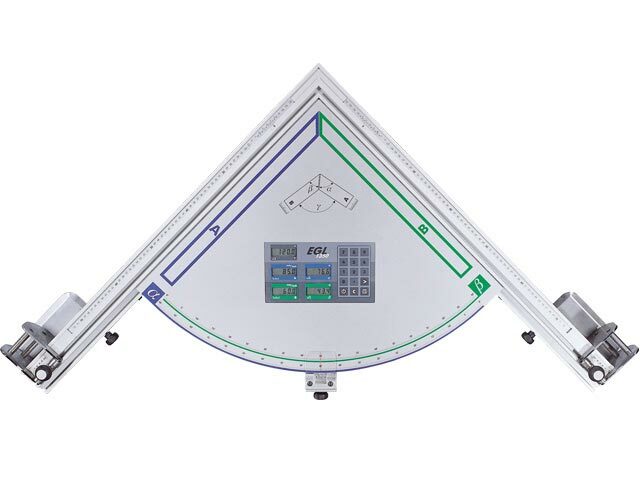 Electronic precision! 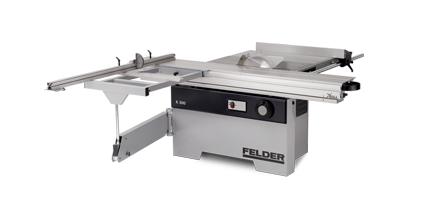 The patented double-mitre gauge from Felder allows for mitre cuts on pieces with different widths and at any angle. 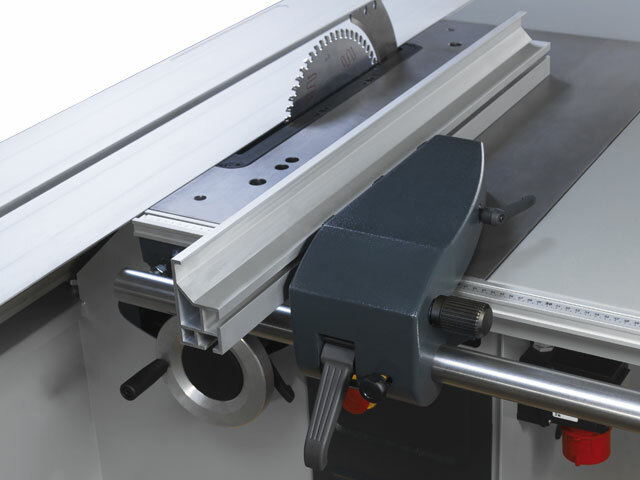 Easy to use: Simply enter the desired angle as well as the widths of your work pieces on the keyboard. 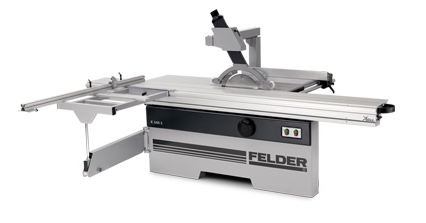 Immediately you will receive the settings and can set the electronic double miter gauge accordingly. 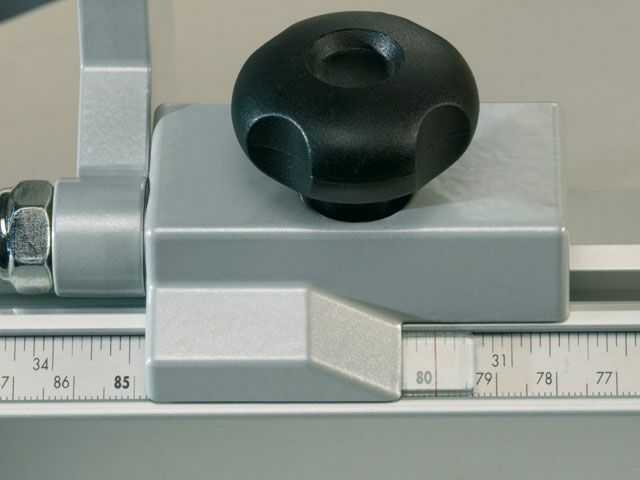 The fence stop on the fence can be adjusted up to 53” with the scale. 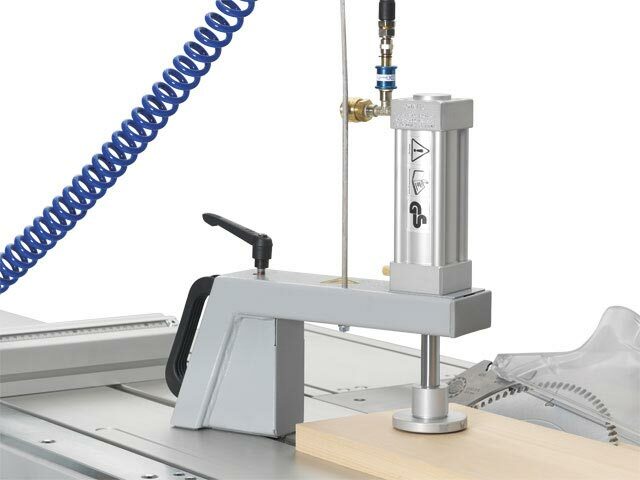 Depending on set angles, the lengthcompensating vernier scale will allow you to set the exact work piece length when you do angle cuts.